Eastbourne is one of Britain's more elegant resorts, enjoying a glorious location on the South Coast. Because it is sheltered by Beachy Head and the South Downs it has an excellent sunshine record, always coming around the top of the sunshine league. It has a spacious promenade to stroll along and the world-famous Carpet Gardens line the seafront. 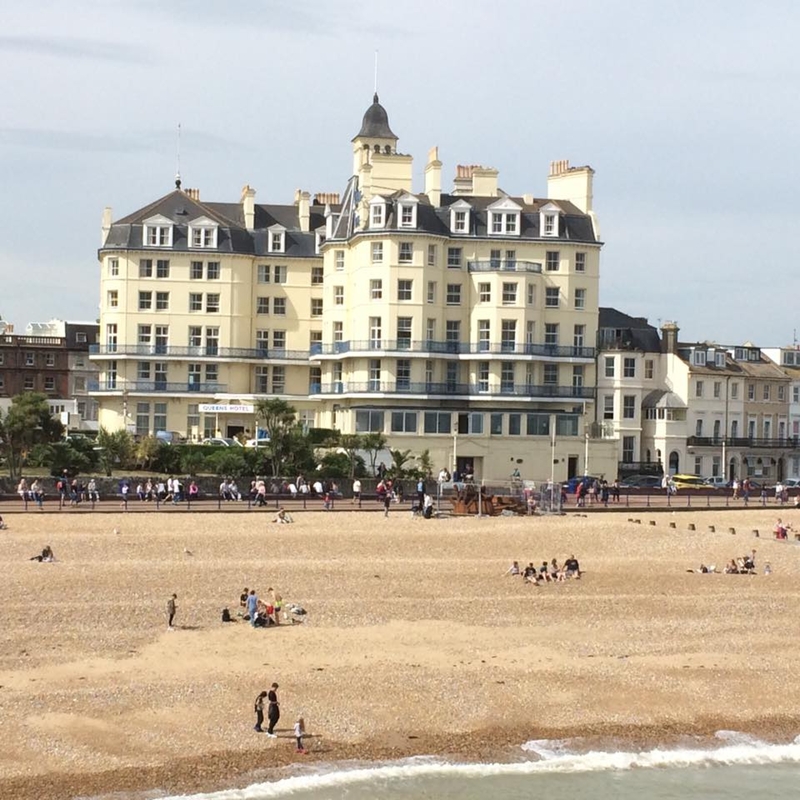 Eastbourne has clean inviting beaches predominantly of shingle leading to sand at low tide and offering excellent bathing. There's plenty to see and do with first class shops, museums, carnivals, shows, concerts, dancing in the Winter Gardens and cinemas. There is also a large variety of sporting facilities, whether you want to play or spectate, such as boating, bowls, golf, putting, and walking on the South Downs.